Innovate, make connections with new friends, and learn about the world around you... all while learning Hebrew! 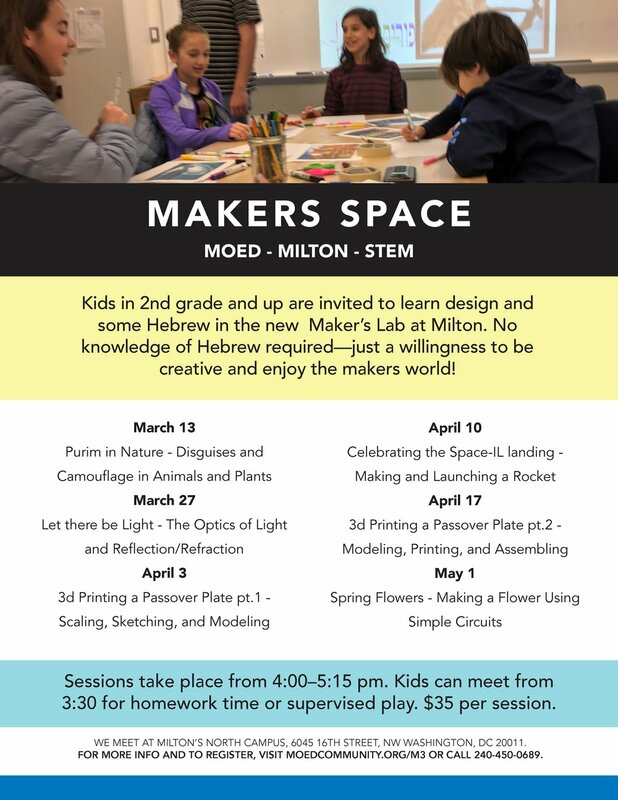 Join Milton Gottesman Jewish Day School (Milton) and MoEd - A Jewish Afterschool Community, for a unique, STEM-based after school or weekend experience that is open to all. No prior knowledge of Hebrew or STEM (science, technology, engineering, and math) is required—just a willingness to explore and ask questions. All sessions will take place at Milton’s North Campus, 6045 16th Street NW, Washington, DC 20011. Questions? Contact Orna at orna@moedcommunity.org.